When you think of furnishing a house, the bed is the first thing that comes to your mind, and it should. That is the most personal piece of furniture among all, and it should be the best of best for you. 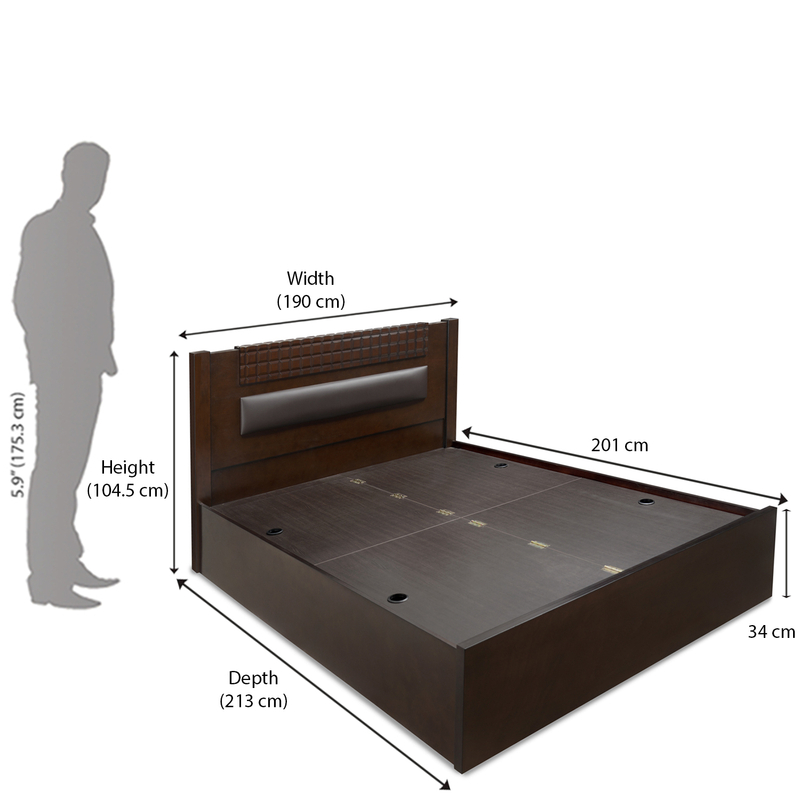 Nilkamal understands that and presents to you the Rivera King size bed with added storage facility. The headrest of the bed is high up enough for you to rest in a slanted position without hurting your neck. The material used in all of the bed is strong and durable rubberwood, so you will not have to worry about changing it anytime soon. The additional bonus is the huge storage facility inside the belly of the bed. The box storage keeps a lot of big things off the floor, cupboards and cabinets for you and makes a lot of space elsewhere. From bedding upholsteries to many other essentials, everything can fit in inside the box storage. You must not compromise with the most used furniture in your house, and choose the bed wisely. With Rivera King bed, you not only get comfort, but it is also aesthetic and offers a lot of storage. Place the order on @Home for free delivery and installation.